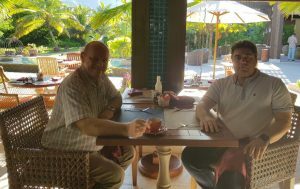 The Editorial this week highlights:- a. Pascal Viroleau, the CEO Vanilla Islands on working visit in Seychelles. b. 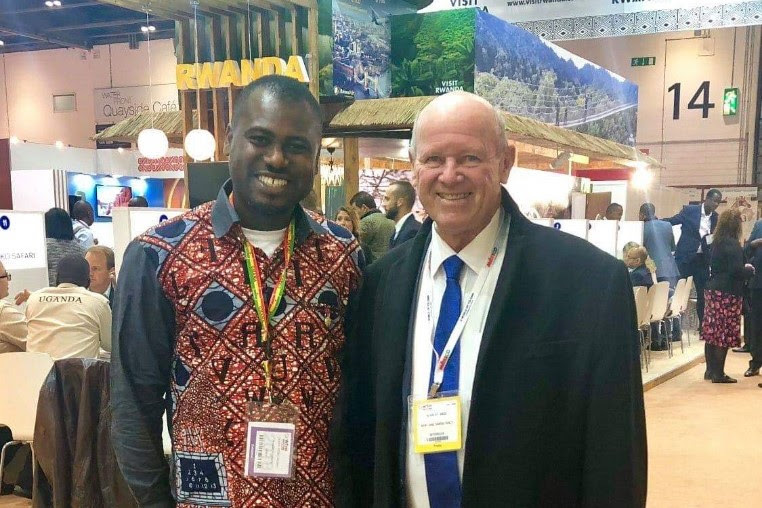 Working together on the African mainland – African Tourism Board. c. meeting African Journalists in London’s World Travel Market . d. new CIP Lounge at Seychelles International Airport. 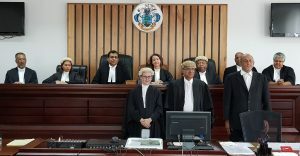 e. Family events bring joy – Congratulations to Marston & Laura St.Ange & Congratulations to Michelle St.Ange – Ebrahim for being called to the Bar in Seychelles. Stand alone articles this week:- 1. Denis Private Island wins big at World Luxury Hotel Awards. 2. Government’s Vertical Integration Policy dividing the country’s tourism industry. 3. Vicky Bamboche, the Seychelles representative for the Italian Agency “I Grandi Viaggi”. 4. Rosemary Cobian launches her new Mont Buxton Villa. 5. Didier ROBERT talks with French Minister Muriel PENICAUD. 6. Mauritius Festival International Kreol 2017 launched. 7. 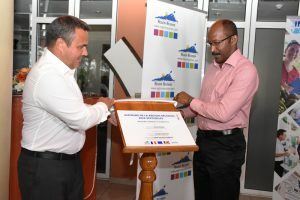 Seychelles Ocean Festival to celebrate the international “Year of the Reef” through a series of activities. 8. 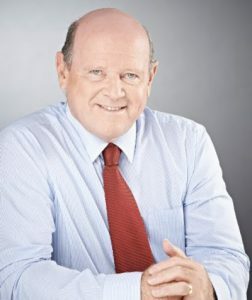 Ocean Sustainable Development: Time for Action is Long Overdue says Former President Michel . 9. 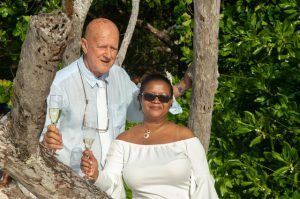 La Digue Island Lodge restaurant gets new makeover. 10. China will be the world’s top tourist destination by 2030. 11. Destination Seychelles received a global exposure as heads of Seychelles Tourism Board (STB) and local Tourism Ministry gave interviews on BBC and Sky, in London. 12. Greenpeace – a decade of environment activity in Africa. 13. Seychelles Tourism Board Chief Executive Sherin Francis Speaks on Environmental Protection Panel at World Travel Market. 14. Paul Turcotte Opens Studios on Praslin. 15. International Newswires continue to republish our Report. Welcome to Edition 46 of the Saint Ange Tourism Report. Everyone in the tourism and travel are conscious that it is in public / private sector partnership that success will be guaranteed. This is also by working together in the region, on the continent and globally. Working together for the success of Tourism is important in all its facets. The Continent of Africa knows that tourism is the industry that can help the ordinary small African to be part of the continent’s business performers. African is receiving just over 5% of the world tourism movements and this will remain so unless Africa claims back its industry and works together as one. 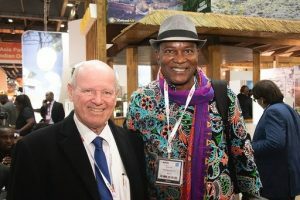 The African Tourism Board (ATB) was launched at the World Travel Market (WTM) in London in early November. This is an initiative by the International Coalition of Tourism Partners to open a public-private sector body that will be supporting work by any organization furthering positive awareness for travel and tourism to benefit the African Tourism Industry. The African Tourism Board will be supportive the work and efforts of the UNWTO CAF Committee under the Chairmanship of Minister Najib Balala, Minister of Tourism from Kenya as it becomes for Africa what PATA is for the Pacific and Asia. The official launch of the organization is planned for April 2019 in Cape Town at the World Travel Market Africa. We need to now be guiding the African Tourism Board to ensure it is Africa to the core. Today we appeal to the 54 African Countries to unite and rewrite the continent’s narrative and in so doing increase its visibility and claim a greater share of the world tourism market. With the UNWTO CAF Body and the African Union Tourism Desk in Addis Ababa we need to sit to discuss where the Headquarters of the African Tourism Board should be. “We are looking forward to greeting our first clients in a 1st Class environment from 6.00am to 23.30hrs from the 1st December” he went on to say. Laura Mauleon has been appointed as the Operation Manager of the Lounge and Sheena Botsoi is the Lounge Manager Family events bring joy as it rallies the family even closer together. In the past week two family events did us proud and brought us together. My brother Marston’s wedding to Laura Savy, and my daughter Michelle was admitted to the Seychelles Bar. Congratulations to Marston & Laura! Present at the ceremony was her husband Ameer Ebrahim and her parents, family members and work colleagues.